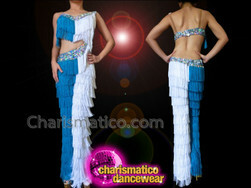 Layers of sky blue beads tipped with silver cover this tasseled bra. 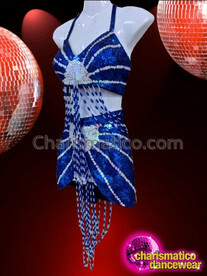 The matching sequined belt styled skirt is draped in silver beads that accent the legs perfectly. 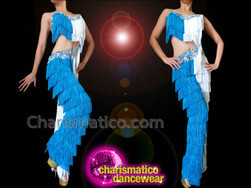 This two piece set is lovely for belly-dancers, carnival goers, or showgirls.